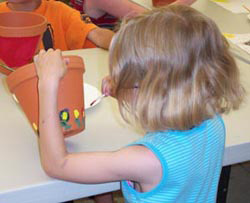 Help your child’s imagination flourish in our art program. This camp combines all of the areas that have worked for over two decades – pottery, mosaic tiles, paints, tie-dye, drawing and more. Campers will explore a variety of techniques and media.